﻿ Best Price on ANDREA1970 in Boca Chica + Reviews! 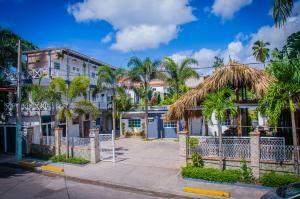 ANDREA1970 has accommodations with a private beach area and free WiFi, and is located in Boca Chica. Rooms have a terrace, a kitchen with an oven, a dining area and a TV, while the private bathroom includes a shower. Some units feature a seating area and/or a balcony. The apartment has an outdoor pool. Guests can relax in the garden at the property. 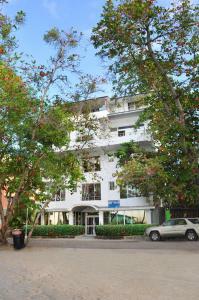 Santo Domingo is 21 miles from ANDREA1970, while Juan Dolio is 15 miles from the property. The nearest airport is Las Americas Airport, 7 miles from the accommodation.